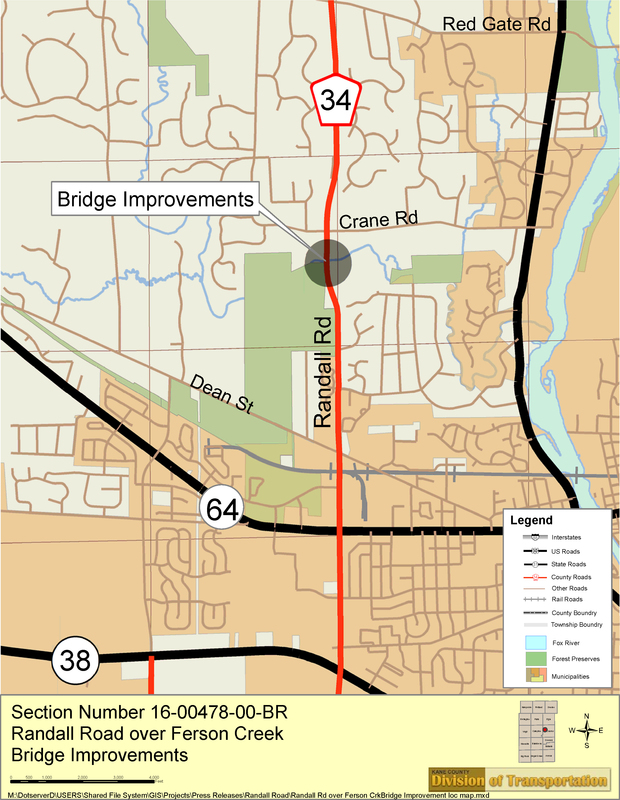 Bridge repair work is scheduled to begin the week of October 29, 2018 on Randall Road between Red Haw Lane and Crane Road in St. Charles IL. One lane of Randall Road northbound and southbound over the bridge section will be temporarily closed to traffic for the duration of the repairs in order to safely and efficiently repair portions of the bridge structure over Ferson Creek. The anticipated duration for the deck repairs is approximately 5 weeks, weather permitting. This improvement is intended to extend the life of the existing bridge structure. Questions and concerns may be directed to Ken Mielke at 630.406.7172.